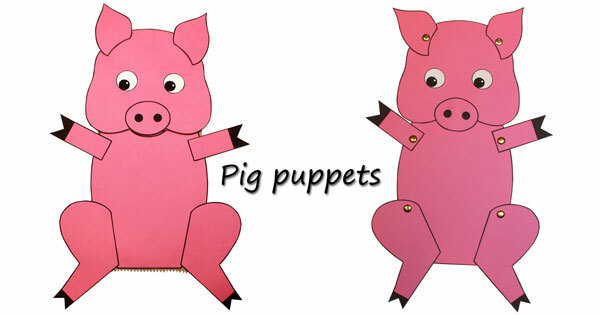 Bring the story of the three little pigs to life with these puppets! 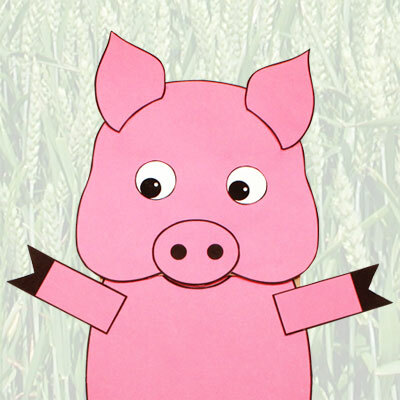 The patterns include an accessory for each little pig: a bunch of straw, a pile of wood and a brick. You can make a puppet using a 4″ x 8″ paper sandwich bag, or an articulated paper doll using brass fasteners. The downloadable document contains the list of materials, illustrated instructions for both types of puppets and all the patterns.